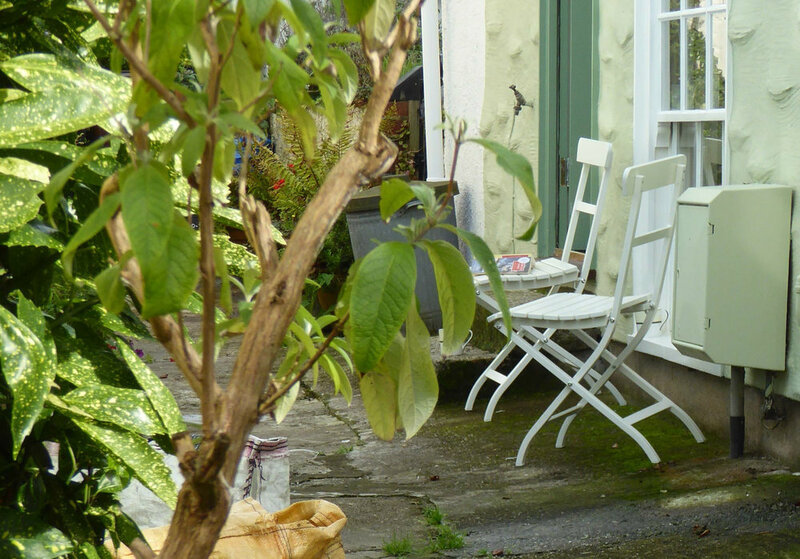 Bessie Ellen is a charming cottage, right in the very heart of Fowey. 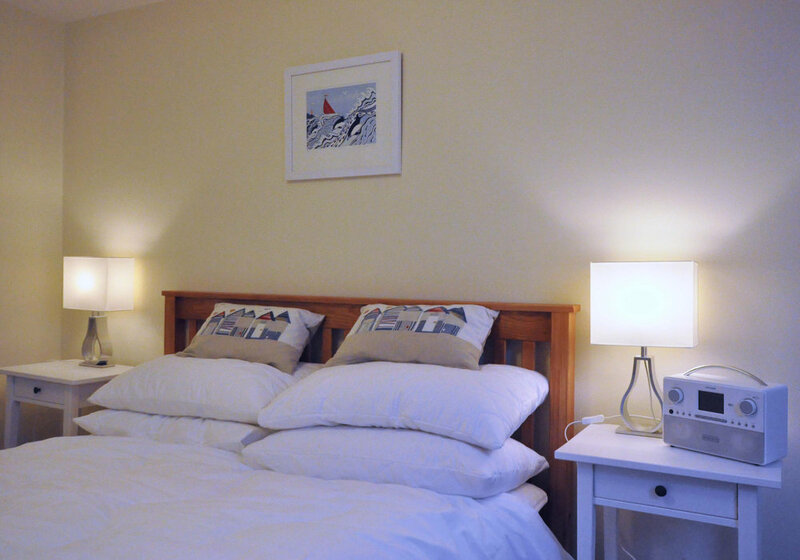 With a recent full refurbishment, the cottage makes a cosy and modern home-from-home. 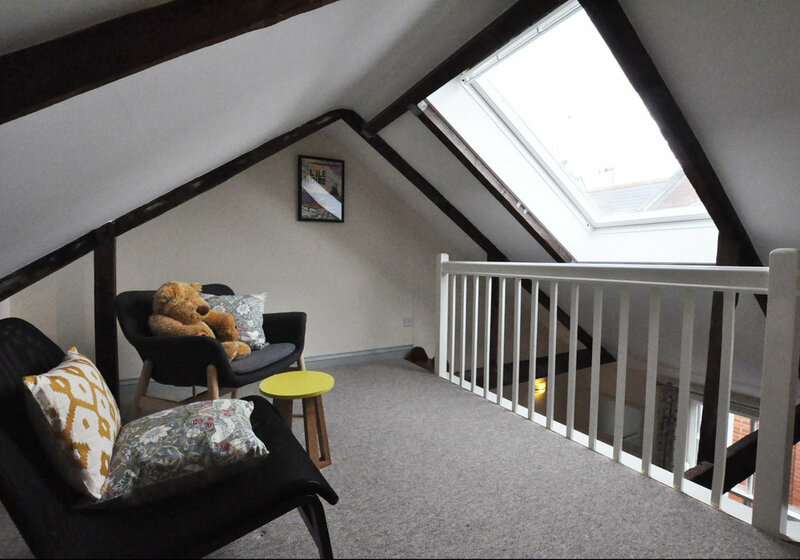 The cottage has a bright and airy lounge, with a staircase up to the mezzanine. 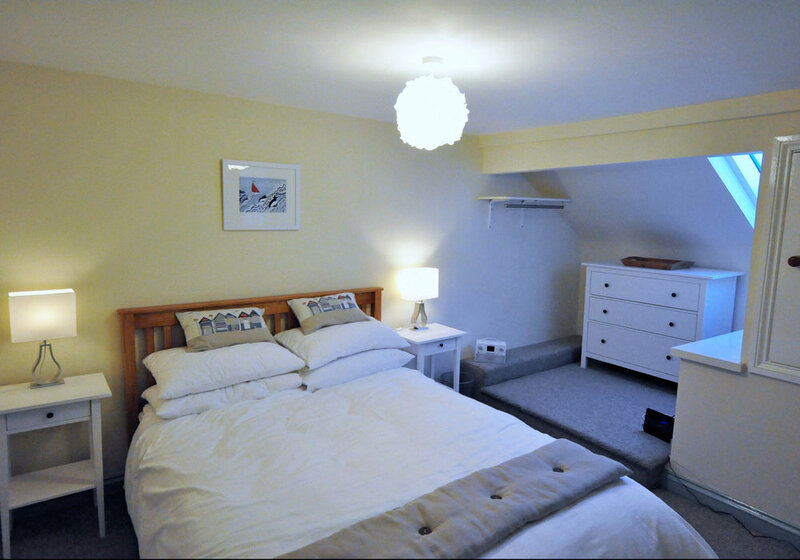 There is a good-sized bedroom with a king-sized bed, and downstairs is the kitchen and bathroom. 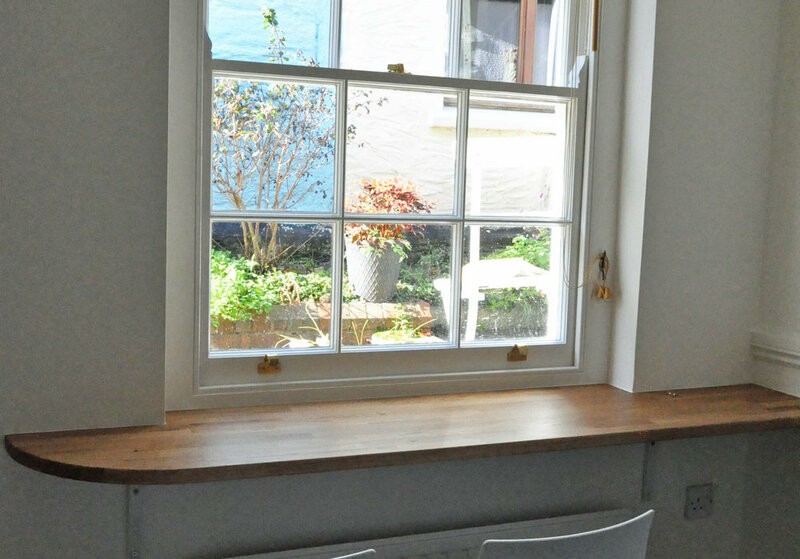 Enjoy a drink sitting outside on the quiet Union Place or watch the world go by along Fore Street from the lounge windows. From the hallway there are two separate stairs heading down and one set heading up. Flight heading up leads to large bedroom and living room. 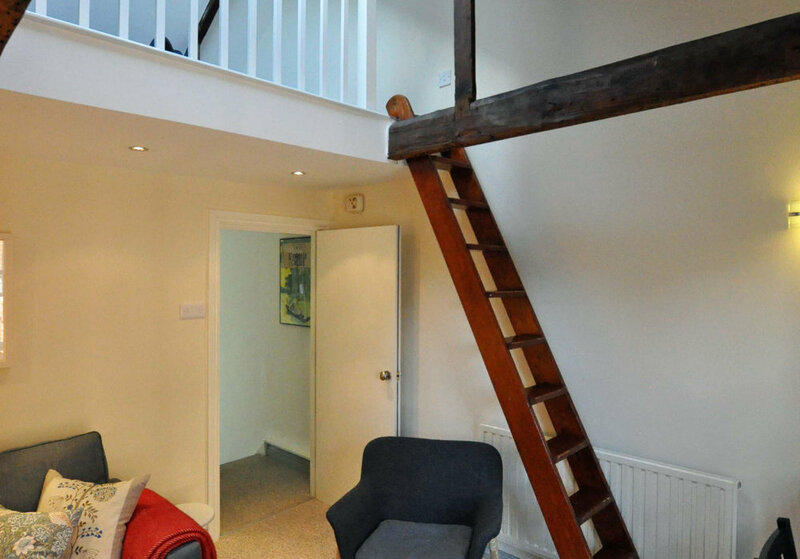 In the living room is a step of steps leading up to a mezzanine. The entrance of the cottage is at the end of Union Place - a very quiet, pedestrian-only area and we have a table and chairs for two. The front of the house looks out onto Fore Street. 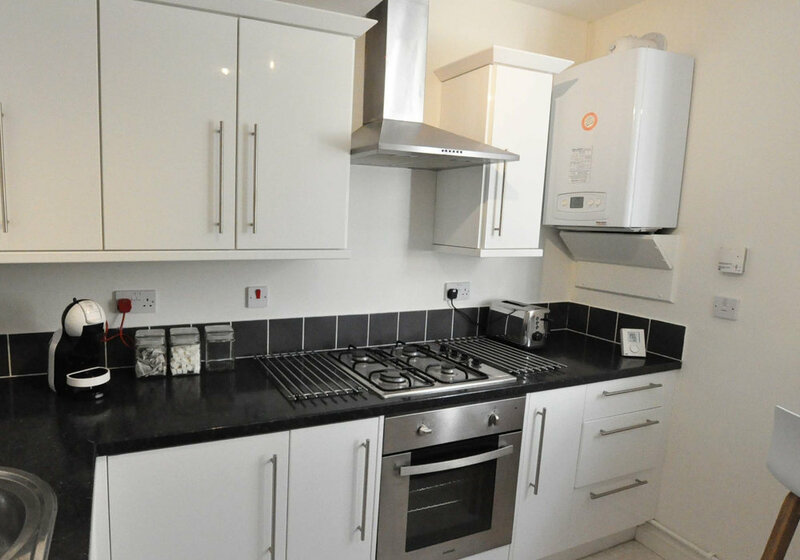 Prices from £307 - £737 (Weekly). 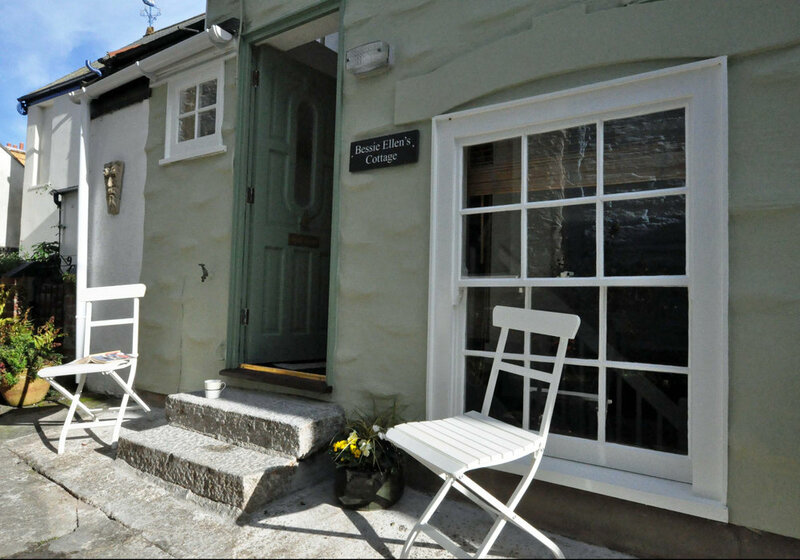 Bessie Ellen's Cottage is on Union Street in the very centre of Fowey and does not have private parking. There are three long stay car parks in Fowey, all run by Cornwall Council and the closest is called Main Car Park. You can get hourly, daily, weekly and rover passes on their website or using the Just Park app. From Main Car Park there is a town bus which runs up and down the hill to the church, which is at the end of the lane where the cottage is situated. We had a fantastic stay, the location was absolutely brilliant, couldn’t be closer to everything. 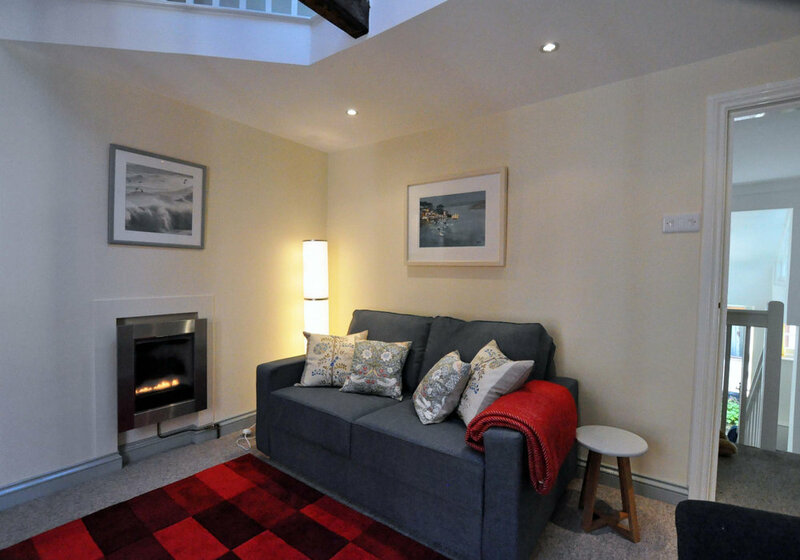 The cottage was really cosy and has everything you need. 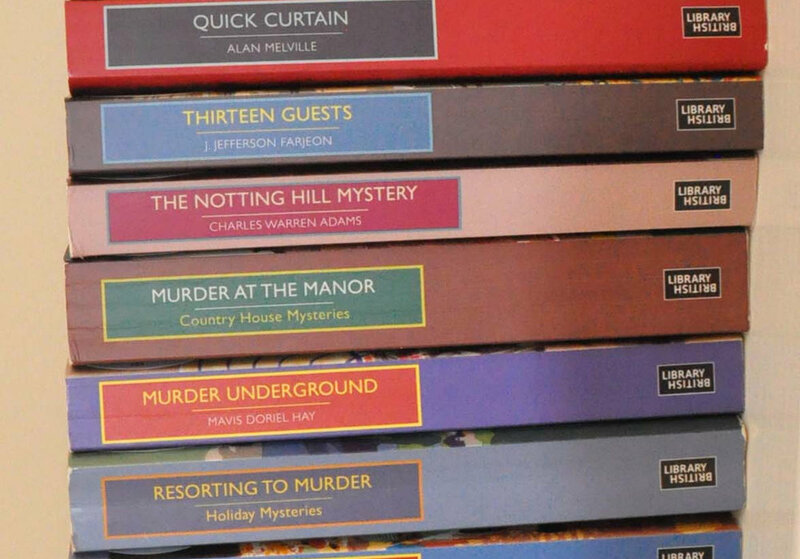 Thanks for a lovely break, we would definitely return. 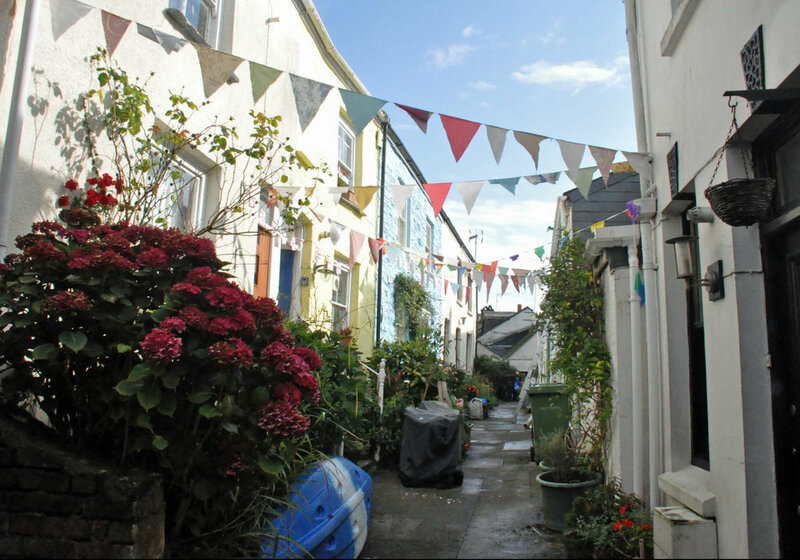 A lovely cottage right in the centre of Fowey ! we had a great weekend sampling food and drink from restaurants just yards from the front door . We will definitely book again!! 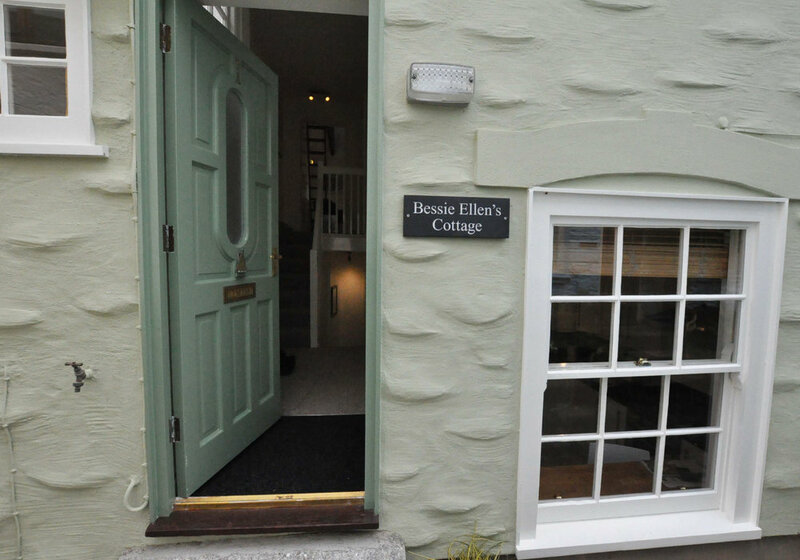 We had a wonderful week staying at Bessie Ellen cottage. It was spotlessly clean and had everything we needed. 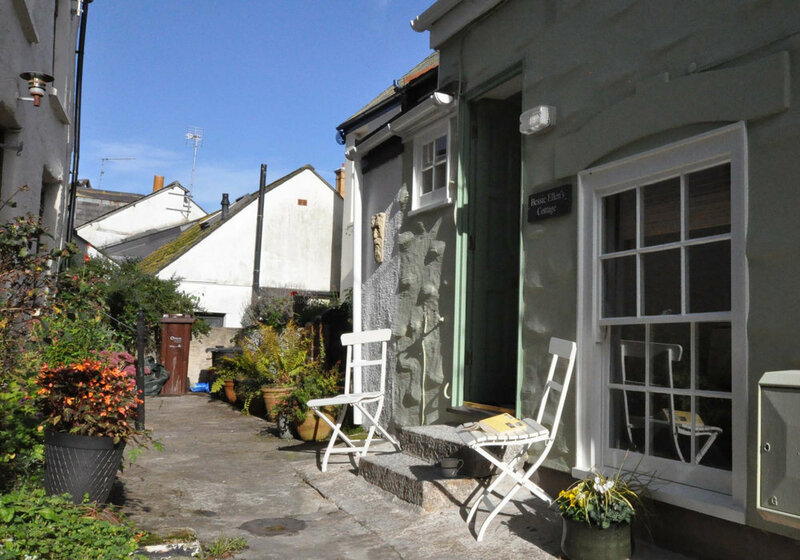 We had a fabulous stay in Bessie-Ellen’s cottage, which is right behind the Main Street in Fowey. We could look out of the window in the morning and see when the delicious bakery opened and be first in for fresh bread! Pubs, shops and restaurants were similarly close by and were all so welcoming . 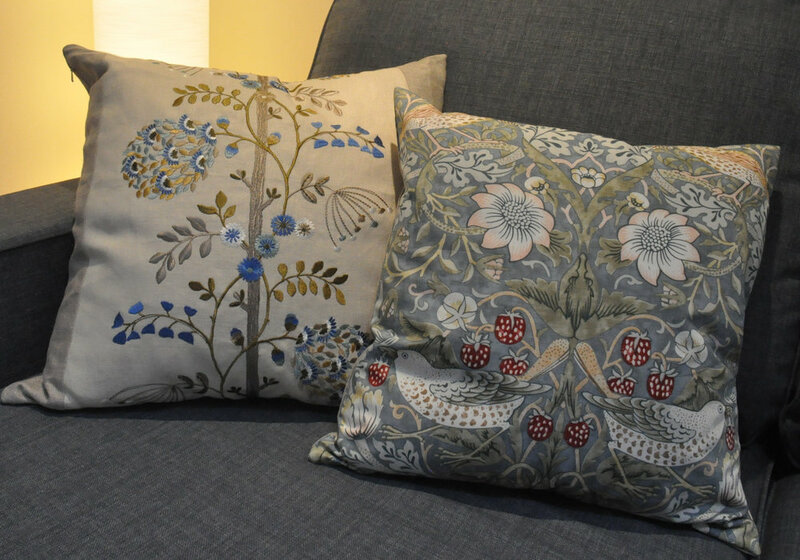 Everything is close by as it is right in the centre of town. We ate out locally and also cooked Christmas Day dinner for ourselves, courtesy of Kittow’s brilliant butchers at the end of the lane helpfully supplying us with everything we needed on Christmas Eve. 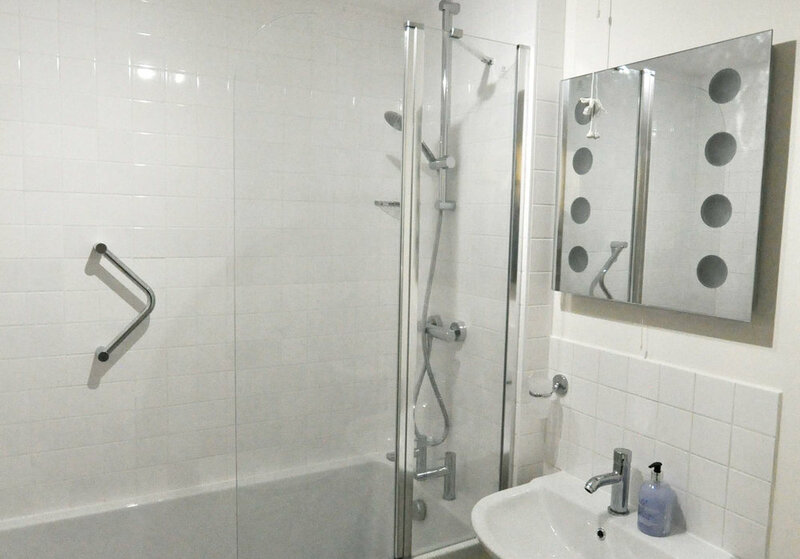 The space itself was spotlessly clean and comfortable, with good quality furniture, bedlinen, towels and kitchen equipment. Everything looks fresh and new. A proper coffee machine was a very welcome touch. 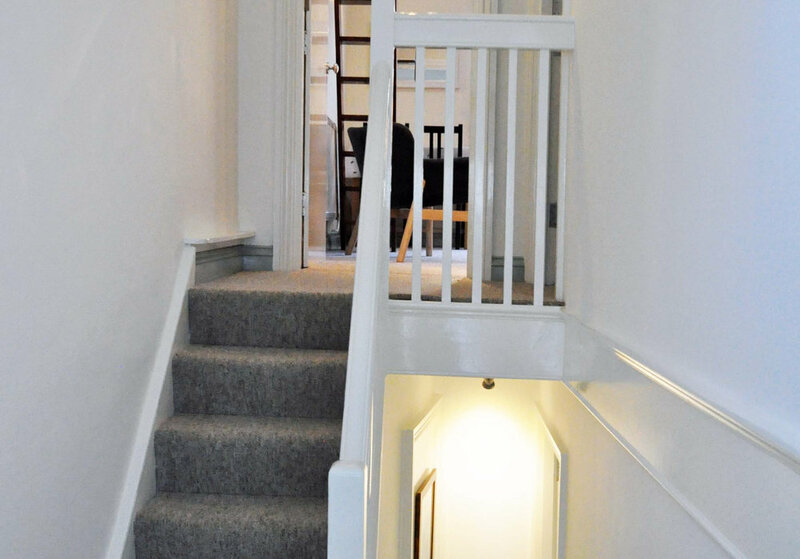 There are lots of internal steps in the house with it being on 4 levels but it didn’t inconvenience us as each ‘flight’ is only a few steps. We didn’t move the car from the edge of town car park all week, as once we were in Fowey, there was plenty to do locally. The walks along the coastal paths are stunning with glorious views and we found ourselves walking in t-shirt’s on Christmas week, as the weather was so mild. We will definitely be returning to Bessie-Ellen’s! Central, beautifully clean and quaint and quirky. Very easy to live in, highly recommended! 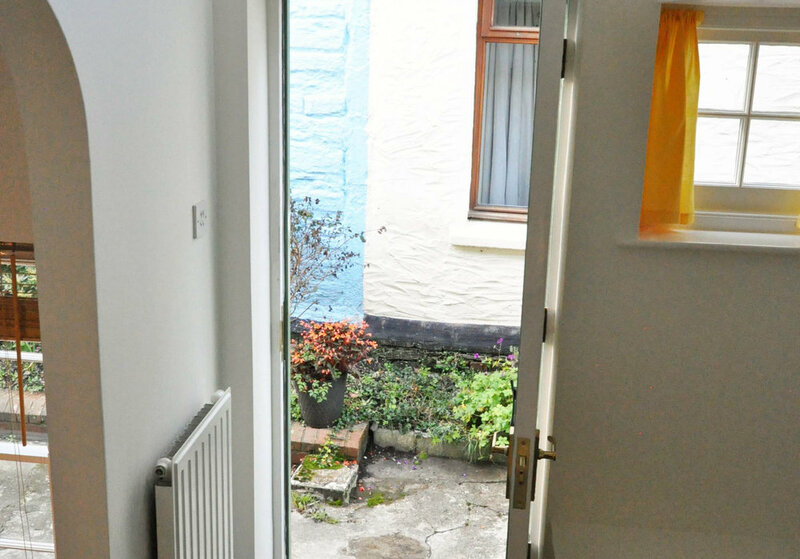 Property as described in a great location in Fowey, less than a minute away from all key amenities. Very relaxing. Great stay, thank you ! Could not ask for a more convenient location. 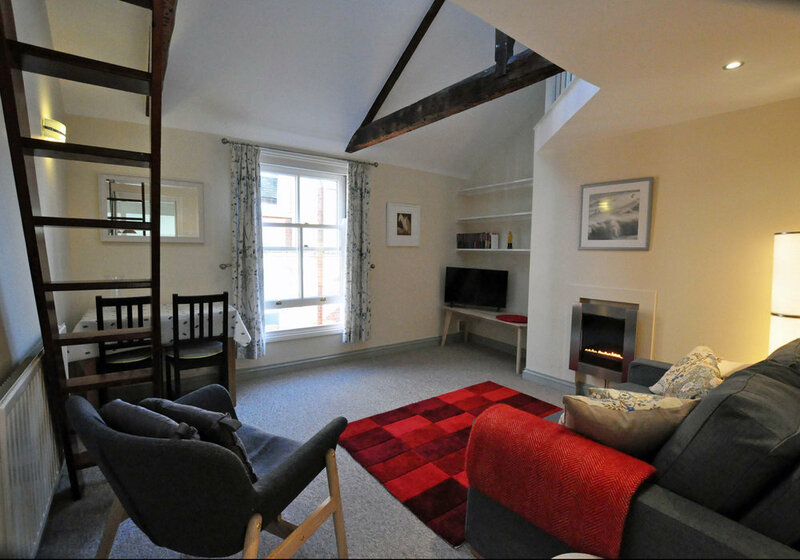 Bessie Ellens Cottage is a charming little retreat, spread across 3 floors. 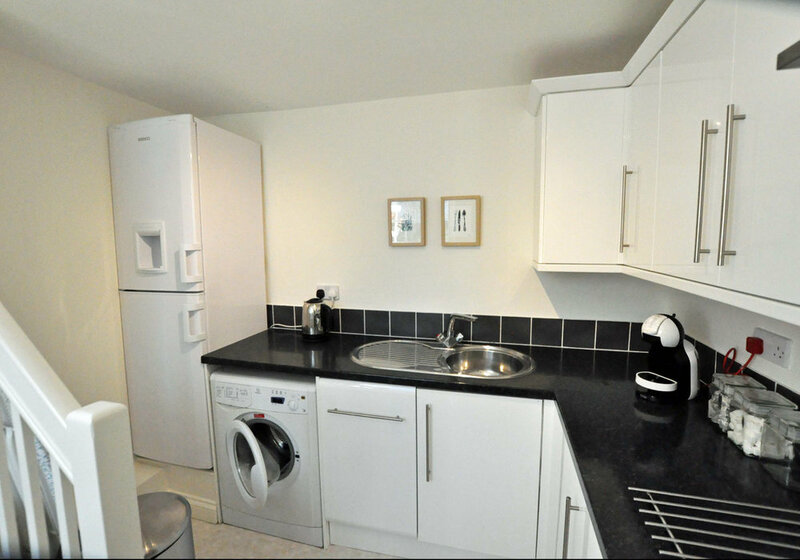 The location of the cottage was excellent and only a matter of minutes walk to the towns local amenities. 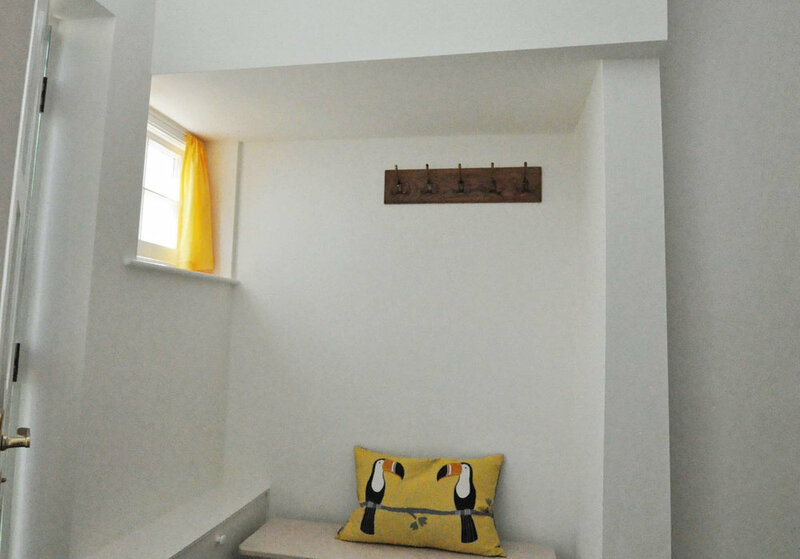 We recommend bringing a couple of spare towels with you but other than that this is a great little find for a couples weekend away! 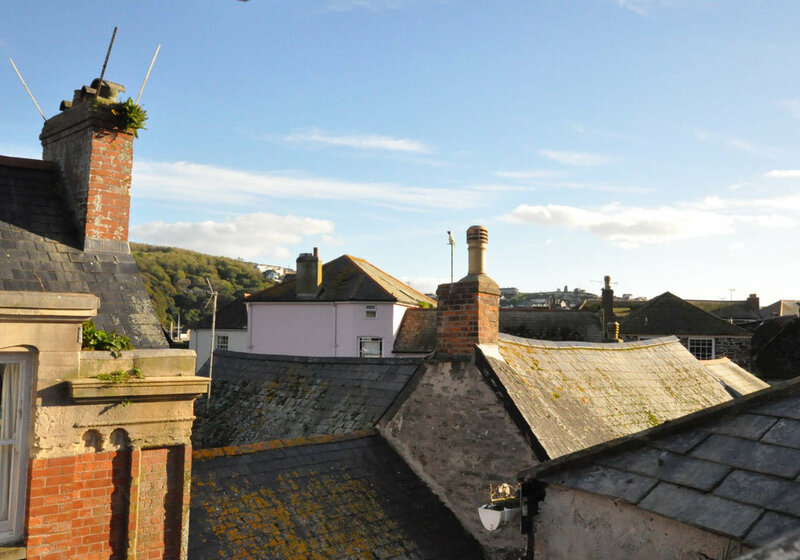 A charming cottage right in the heart of Fowey - a perfect base to explore the town as well as get away on the spectacular coastal walks in the surrounding area. 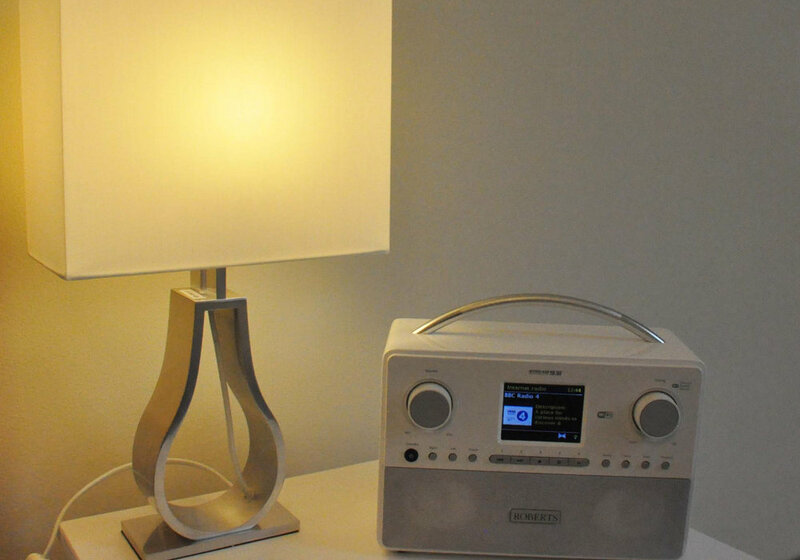 Spotless and thoughtfully presented, we'd come back! 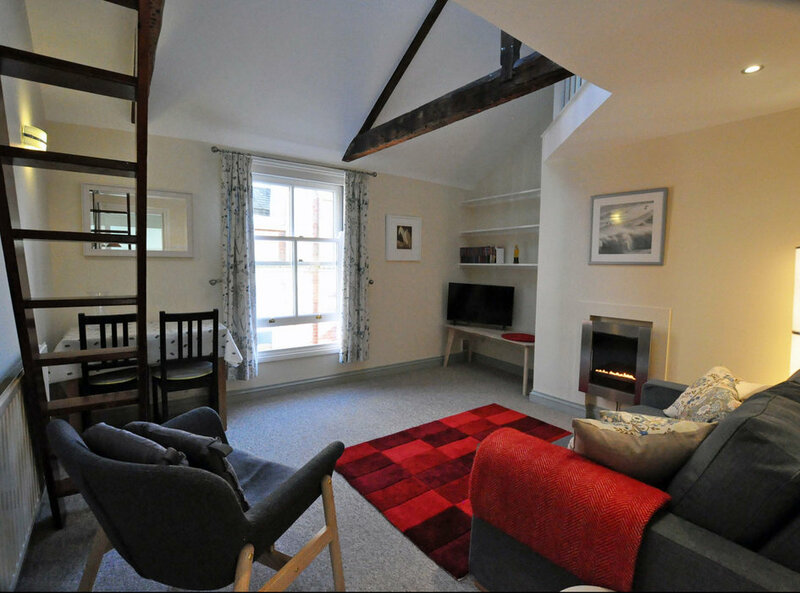 A lovely cottage in the heart of Fowey. Abi is a wonderful host, she was quick to respond to any questions we had and was full of local knowledge. Great cottage and location! Lots of stairs though but overall excellent! Fantastic stay at Abi’s little cottage. Great location, perfect place to stay to discover the surrounding areas.